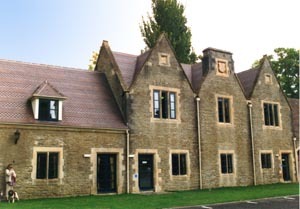 This splendid Victorian mansion, which was erected in the Tudor style of architecture between 1848 and 1853, had reached a stage where it required some restoration and new build work to ensure that it continued to be a significant landmark in the Gloucestershire region. 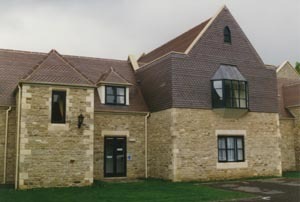 The Tortworth Court Hotel project was a combination of Refurbishment and New Build. 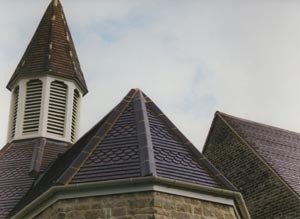 The fitting and fixing were of a very high standard of craftsmanship and the aesthetic appeal of the roof was impressive, creating a Gothic yet romantic and sophisticated châteaux design. On completion, in excess of 7,000m² of new and existing tiling had been carried out. 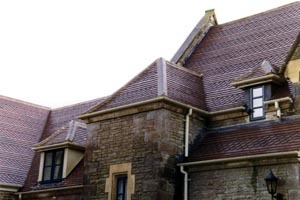 The Tortworth Court Hotel project was in fact a combination of Refurbishment and New Build work and could well have been judged under either of the relevant categories in the Clay Roofing Awards. It success is based on having so well disguised the fact that the new buildings were actually new! Commenting on the roofing work carried out at the hotel, the Chairman of the CRTC Roofing Awards judging panel, Mr. Kevin Farrell, said: "At first glance a visitor to the building could be forgiven for assuming that the entire complex was of the same antiquity - the new build roofing blends in perfectly with that of the historic buildings of the original mansion." 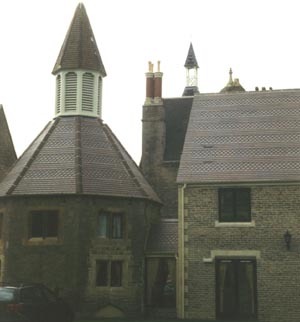 The judges were particularly impressed by the attention to detail in the use of fittings, including angle ridge, valleys, hips and angles, notably in the construction of small dormer roofs and gables.